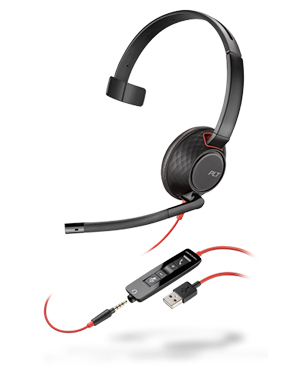 Plantronics Blackwire C5210 Monaural USB Headset with 3.5 mm Plug is an innovative audio device that offers users with connectivity to PCs and mobile devices in order to have access to communication features and functions. The device provides excellent audio performance with the help of great technologies and solutions in the market, including noise cancelling technologies, as well as hearing protection through the form of SoundGuard technology. 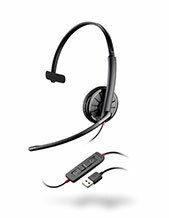 Plantronics Blackwire C5210 Monaural USB Headset is excellently convenient to use, with features that are within reach. Providing users with universal connectivity, it offers users with all-day comfort through its snug fit headband and easy positioned microphones. It also has an ergonomic design that offers users lightness on their head, which makes the device perfect for longer use. Find out more details on this awesome product through our company hotline at Australia wide 1300 131 133! 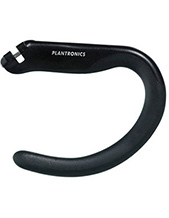 Established in the year 1961 and incorporate in August 1988, Plantronics is a top-notch consumer electronics enterprise. Throughout decades of operations, it has become one of the best developers, manufacturers, and marketers of communications headsets and solutions in the international market. In fact, the company has contributed wide selection of technologies and solutions that can improve people’s lives. Headsetsonline Pty Ltd, Australia-owned and –operated, is a supplier and wholesaler of audio and sound products and solutions offered in brand new and refurbished conditions. The company is able to ensure that all of its offers have high quality by choosing Australian distributors more than grey imports. With Australian distributors, all products and solutions are guaranteed to pass Australian standards and certifications. More than just the certification, it also has warranties that can be used by customers wherever they are in the country. Headsetsonline Pty Ltd is a popular enterprise’s new division that centres on providing corporate organisations and government sectors with high quality headsets and audio products and solutions that can help them in their operations. This enterprise has been operating since the year 1998 and has polished its product portfolio from that experience. 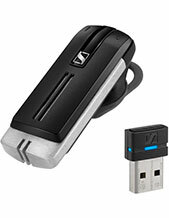 Headsetsonline offers these high quality products in its official and secured site, Headsetsonline.com.au, where all of the company’s products and solutions are displayed.